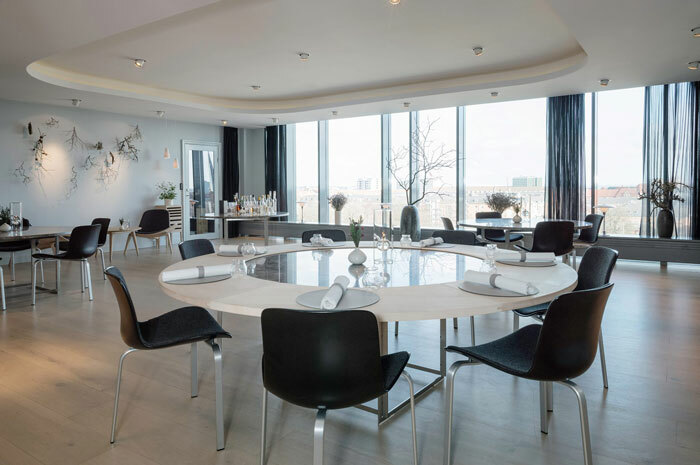 The sleek and elegant place is complemented by timeless furniture, including stunning PK8 chairs by Poul Kjærholm. 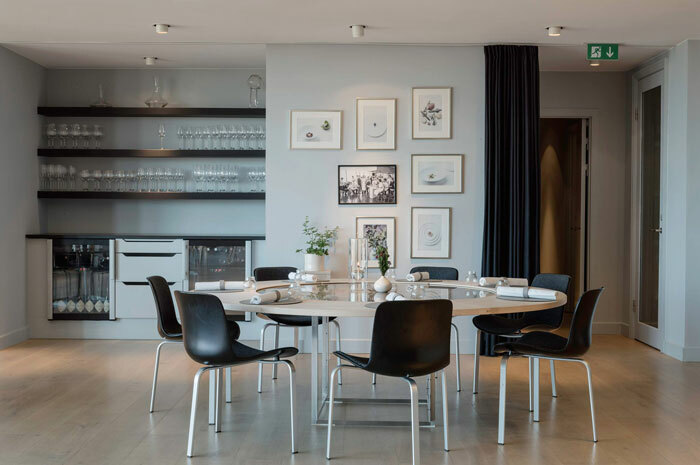 We’re loving the grey walls with the light coloured floor boards – So light and airy! 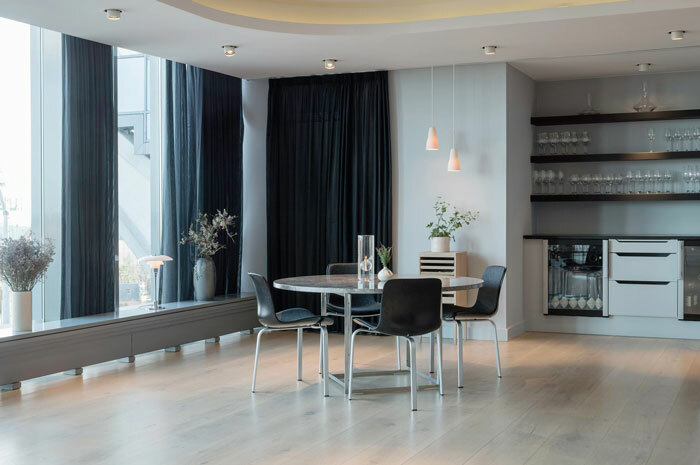 The black elements provide the right amount of contrast, while the opal glass lamps are soft and delicate addition to the space. 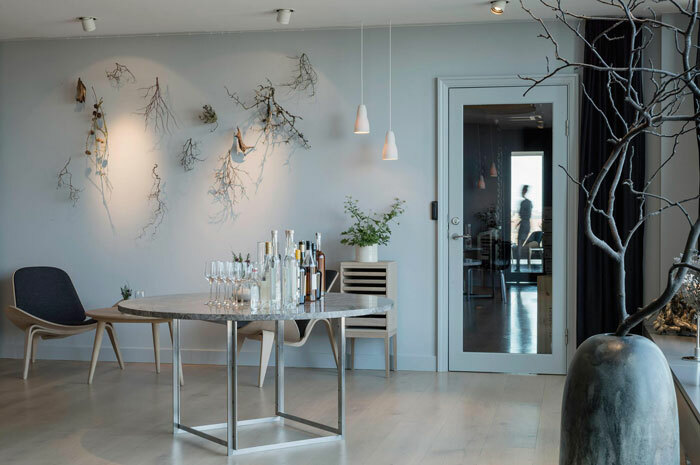 The Nordic inspiration is in focus on the plate as well as in the interior design. 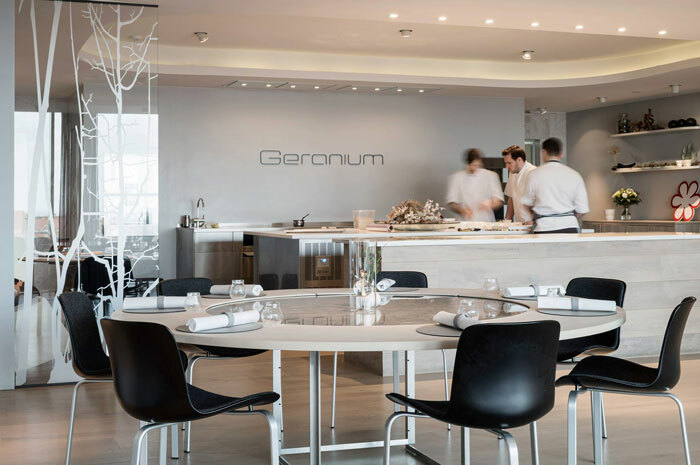 Rasmus Kofoed is the chef and c0-founder of Geranium.signature dishes are refined compositions of herbs, flowers, mushrooms and berries. He was crowned the world’s best chef in 2011. 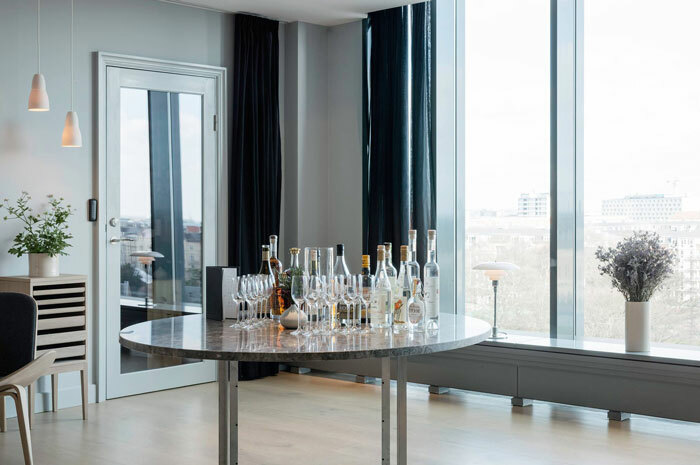 At Geranium, one can expect a feast of exceptionally high quality, for about $500 with wine pairing. A once in a lifetime experience!